The MMG rapper was carrying a Smith & Wesson semi-automatic gun during the drive-by shooting in Fort Lauderdale. New information has been unearthed from the event that saw an attempt on Rick Ross' life in January. While there have been no developments in finding the shooters responsible, a report from the Fort Lauderdale Police Department has surfaced, indicating that Ricky Rozay was actually carrying a firearm at the time of the shooting. 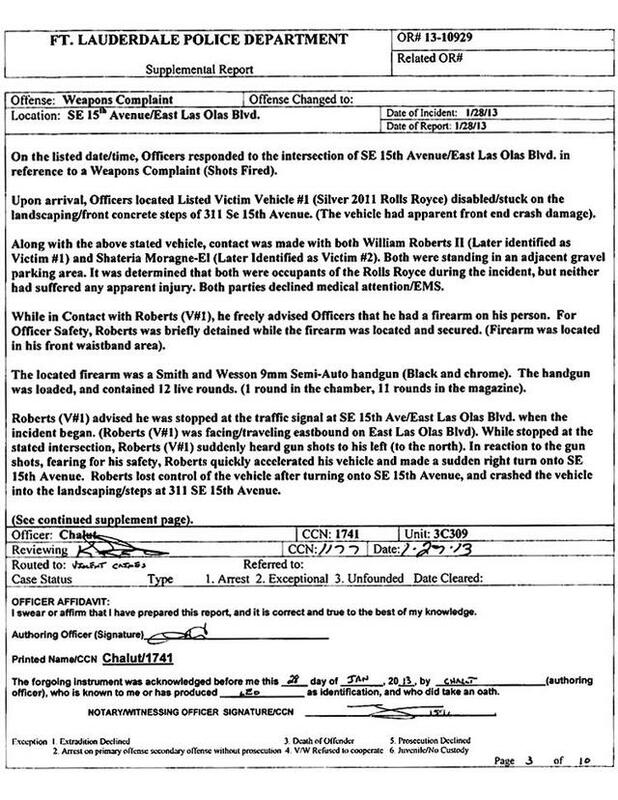 The report indicates that Ross had a a black and chrome, Smith & Wesson semi-automatic gun "located in his front waistband area". The weapon was fully loaded with one round in the gun’s chamber and 11 rounds in the magazine. It has also been reported that the Bawse's handgun permit may have been expired at the time of the report, which could lead to legal trouble for the MMG leader. There are still no leads on suspects in the case. View the full report in the gallery above. Listen To Album Snippets From Ghostface Killah & Adrian Younge's "12 Reasons To Die"